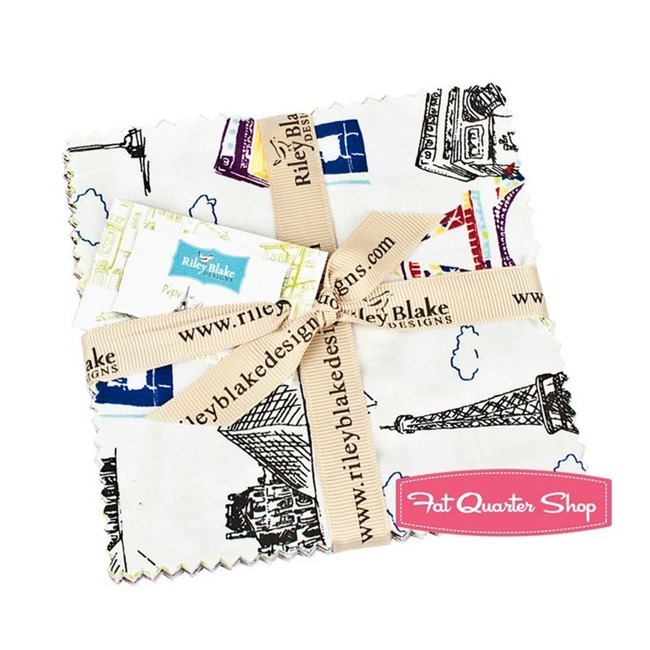 Fat Quarter Shop is a fabric shopper’s dream world! That’s really not an exaggeration because they’re stocked with an amazing selection of designer fabrics that will make you want to sew, sew, sew…even if you don’t know how. You might even want to mod podge your walls with it. Whatever works for you. You can enter to win this fabulous bundle of designer fabric! It’s perfect spring! Here’s a closer look at some of the sweet patterns in this bundle of Bee My Honey…you know you want some! Dreaming of Paris? This is for you…Pepe in Paris Charm Pack by Riley Blake Designs! So Chic! You’ll love the beautiful spring colors in this Mixed Bag Jelly Roll! I could just keep it in a roll and use it as a decoration…seriously. Pretty fabric is so inspiring! You can shop by collection, designer or theme…I love that! You won’t believe the selection of fabric available to you. Plan a quilt, sew a skirt, or make a couple pillows in no time at all with their kits and specialty cuts. They offer same day shipping which would make anyone happy. 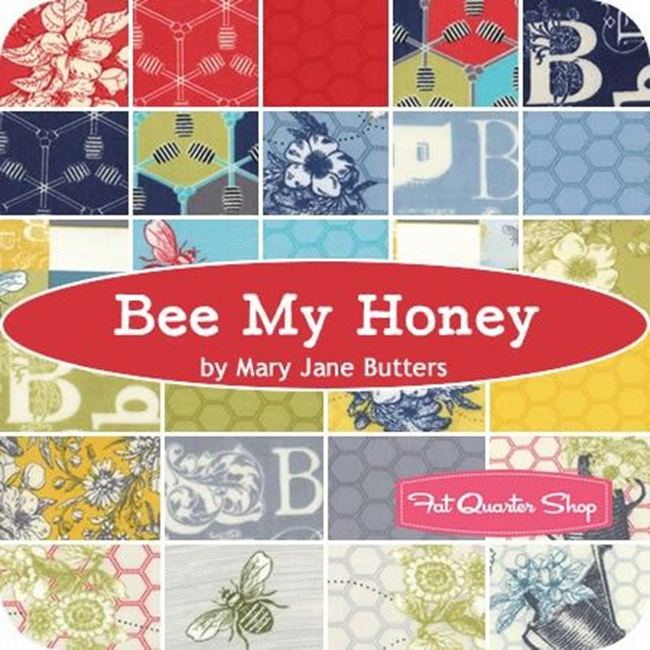 One super lucky Everything Etsy reader will win a Bee My Honey Fat Quarter Bundle designed by Mary Jane Butters for Moda Fabrics…that’s 27 fat quarters!! Use the widget below to enter this giveaway. 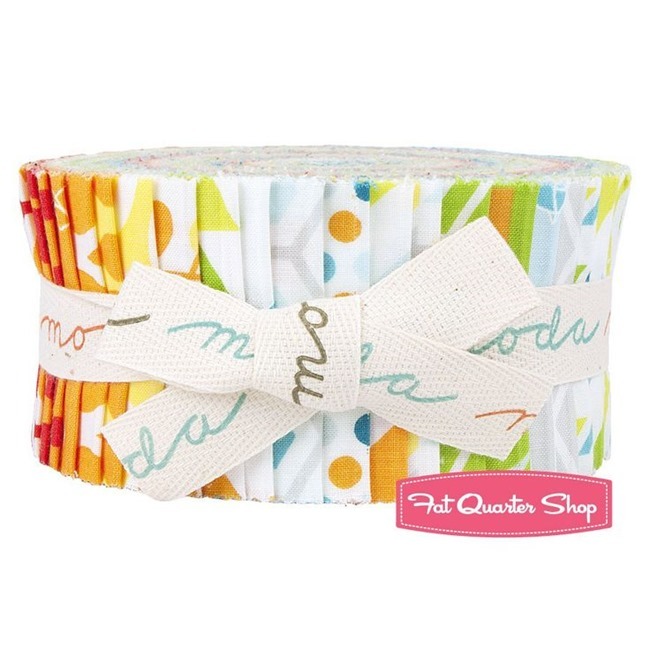 Visit Fat Quarter Shop and leave me a comment about one of your fabric fabrics. Then check out all the extra ways to gain entries. The more you spread the word of the giveaway, the more chances you get! Love the new Rocket Age by October Afternoon for Riley Blake. I love the new collection by Bonnie & Camille – April Showers! I love the dear Stella fabrics – perry mint, the scissors, London calling, clementine – they are all so cute! I love the Mirabelle Daisy Sweet Peas! I’m crazy about the country girl fabric by Tasha noell. Love the bee my honey too! I can’t go past the Lecien Autumn Flower Sugar Red Small Bouquets and Dots – seriously, flowers and polka dots together!! I love the Slate Diamond Rings fabric. I love the Stormy April Showers bundle !! I really like the Scrumptious collection! I love the new PRINTEMPS line by 3 Sisters. I love the April Showers Teal Raindrops from Moda Fabrics. I love the Mixed Bag Jelly Roll, but I also love the April Showers (Moda) Jelly Roll. Super cute!! Today I like Classic Mini’s by Darlene Zimmerman. I love everything by Moda. Gorgeous! Definitely Bee My Honey fabric! My favorite fabrics are Kaffe Fassett but I also really like the new Pearl Bracelets tone on tone. Love the Mixed Bag jelly roll! Love all these fabrics, so pretty! Especially love that they have Babar fabric! I buy from FQS all the time so choosing one fabric is really hard. Right now I would take some Color Me Happy or just some of the Kona Solids or the Pearl Bracelets would be a great edition. And Pepe in Paris will be why! Every print from Botanics that I don’t have yet! Thank you for the giveaway! two very different new fabrics are lovely. Silver smokey quartz and arctic penguin! Artisan Spirit – shimmer is very beautiful! My favorite is the Grant Park Charm Pack Minick & Simpson for Moda Fabrics – gorgeous colors! Those Honey Bee fabrics are so sweet! (pun intended) I am thinking about table toppers, runners, hot mats, mug rugs, etc. Such fun! Honey bee fabrics it is! I love Red Roosters Around Town Cream Dogs and Cats! ooohhh i love yhe way that colors look at the “April shower jelly Roll” from Bonnie & Camille!! I love the Aster Antique Rose Autumn Fat Quarter Bundle! Gorgeous!!! Loving Daydreams by Kate Spain at the moment, the colors are gorgeous. I love the Boy Crazy line by Riley Blake! Bee my honey, storybook, tonal pearl bracelets. How can I choose just one? What a great fabric bunch!! Love the little bees! I love all fabric!! Thanks! Thank you for the chance to win! I follow you on Pinterest. I realized I missed the name of the fabric in my first post 🙂 funny! I really love Color Me Happy! I really like the Small Cotton Dots, Critter Patch and the blue Pine Woods Littlest. So hard to pick though – your site has an overwhelming selection of beautiful fabric! I love the BIjoux collection by Bari J. I can totally see some airy Spring skirts in those fabrics! The Grunge Basics looks fun. Thanks! I dont buy alot of fabric from them unless I see on a blog an true fabric color, or such a big website the color photos are bad. I love the April Showers bundle. 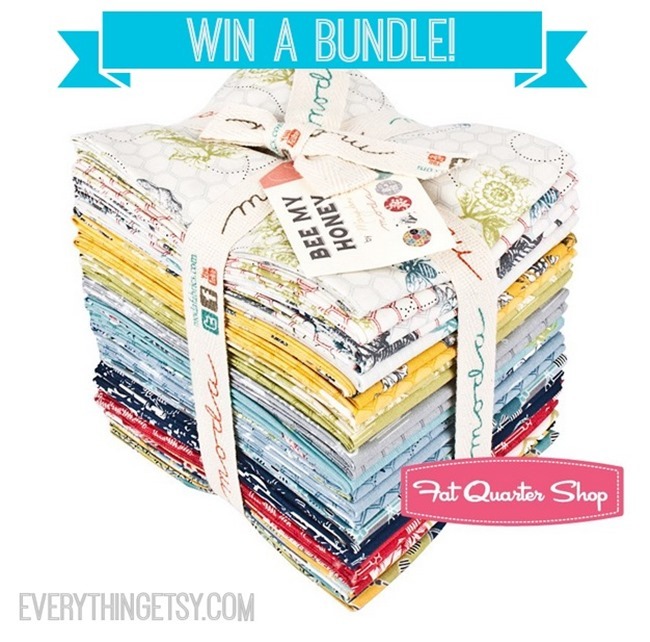 Love Bohemian Ansonia Fat Quarter Bundle! I love the Mixed Bag by Studio M for Moda Fabrics, so cute! I love the whole Chantilly By Lauren & Jessi Jung For Moda Fabrics collection! But my favorite of the ones to win is Honey Bee Mine… it’s fitting because we’re getting honeybees next month! I really like the Aunt Grace Miniature! I am loving High Street!! Gorgeous fabric!! Hubba Hubba by Me & My Sister is grabbing my attention with the bright, happy colors. Fat Quarter Shop has so many great fabric choices! 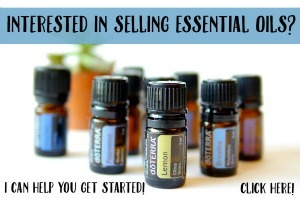 I would love this bundle, I am making a tote with bees on it right now, love those little guys. bee my honey is adorable! I am loving the April Showers collection at the moment! Thanks for the giveaway! My fave right now is the modern roses… Gorgeous! I love so many, but a few that I really love are the Stormy April Showers Fat Quarter Bundle and the Chance of Flowers Fat Quarter Bundle! I really enjoy the Dear Stella Fabrics. Hubba Hubba Charm Pack Me and My Sister Designs for Moda Fabrics … super cute! I love the colors in the Batiks Jelly Bean collection! I’ve always been drawn to batiks and these are lovely. I really love Sweet as Honey collection by Bonnie Christine! I love Scrumptious Paisley in Lime. My favorite fabric… 30’s Playtime Sea Bias Dotted Stripe Yardage. I absolutely love April Showers by Bonnie & Camille. I love the Good Morning collection! Bee My Honey Fat Quarter Bundle Mary Jane Butters for Moda Fabrics is pretty amazing! Anything Bonnie and Camille! Can’t wait for their new line. I love the Riley Blake! I adore Mirabelle! Thanks for the chance. There were a lot I loved but I think one of my favorites was the aqua cabana stripe! It reminds me of summer and I need summer right about now! I love the Printemps by Three Sisters Stuff. I LOVE ~ Belle Blue Chrysanthemum by Amy Butler! There are too many to have just one favorite. Indigo Crossing, Lario, and Chance of Flowers Rose Wallpaper to name a few! Love Shangri-La by Jason Yenter. Thanks for the opportunity to win! These are beautiful fabrics! Thanks so much for a chance to win! Chance of flowers is beautiful! Bloomin Fresh by Sandy Gervais. Love Me and My Sister’s Hubba Hubba!! I can’t resist a fabric with a bicycle pattern so Bluebird Park Teal Bicycle by Kate & Birdie for Moda Fabrics is my favorite. I really like Kind Daphne by Skipping Stone Studio. This isn’t my usual style but as I was looking through the shop I really like it! Thank for the great giveaway!!! I love the Fat Quarter Shop! I also really like the collections you’re featuring today. One fabric–among many–that I’ve been eyeing is Bari M’s Bijoux Raffia Dream Catcher. I absolutely love anything by Aneela Hoey!! Oh, I just got lost there for awhile looking through all the beautiful fabrics. Not the first time I’ve been there but nice to see them again. My favorite – FAVORITE – right now is the raindrops (owl sorbet). Living in Seattle, WA it definitely speaks to me and those colors – perfect for my daughter! 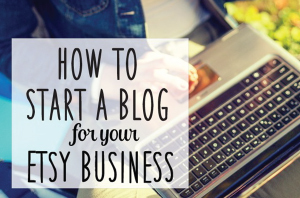 Thanks for hosting this – when I “bloggy-grow-up,” I want to be just like you! Really like all Riley Blake designs collection! These textiles are very contemporary and son funny! Hope to use them for my bags! I like 25th and pine. Love Pepe in Paris and Heather Bailey’s True Colors. I am obsessed with Hello Petal right now! Those sweet little cats just kill me! I love Barcelona Stony by Zen Chic! Bee My Honey is too sweet! love them all ! Love Moda, especially Fig Tree lines…Mirabelle is beautiful. I love Stormy April Showers! Thanks so much for such a WONDERFUL giveaway! Syliva and Mormor would have to be my current favorites. I love the bees fabric. It’s darling. I just adore the Splash Bali Snaps Hoffman Fabrics charm pack! It’s almost impossible to choose-so many amazing fabrics, but I do love Lola Sterling Jacobean from Dear Stella. I can see using it for some home dec projects. THe Bee my Honey is fantastic love anything by Tula Pink. The Soldier’s STory and American Beauty bundles are wonderful! I’m so glad they have so much Lecien fabric. My favourite Lecien print at the moment is: Autumn Flower Sugar Red Daisy Dots. Love Park by Pam Kitty Morning. Easter is just around the corner so … Mending Fences Neutral Chickens by Lynette Anderson !! I love the umbrellas in the April Showers Multi Umbrellas Yardage by Camille Roskelley. Very fun! Fabulous giveaway – fabulous fabric. I am spoilt for choice I usually have to use thrifted fabric. Bee My Honey Teal Buzz Queen Bee is probably my favourite. Really cute. it is no exaggeration to say there are too many to choose a fave. I actually really like the Bee My Honey one and I don’t even sew. I am planning on making some sachets (hehe) so maybe I could use this fabric for those!! hey, awesome entry widget, BTW! Loving the Around Town Gray Tonal Neighborhood! Oh, I just love the Delightful Strawberry Delightful Stripe Yardage fabric. It’s so cheerful! My favorite is 2wenty Thr3e by Moda. I love the bright colors of Bee My Honey…..makes me wish for Summer days! Wow, love that Hubba Hubba – colors just shout spring/summer – after this winter, who’s not ready for warm? I adore the Chance of Flowers collection- the palette of colors is so pretty! I would love to win this..so awesome!! I really like Glimma Rosey Cheeks. Thanks for the chance to win! My favorite is Drift Mist Serenity Entwined. It’s so pretty. My favorites in a line of fabrics is April Showers by Bonnie and Camille for Moda. There are so many cute ones! I’m going with the Eskimo Kiss Blue Mini Penguins. I’m making a baby quilt and this would be perfect! My favorite is the Spring Showers with the owls and umbrellas! I love the camp a lot brown firewood! Be My Honey is my pick! I’m like a kid in a candy shop with anything fabric. But, I’d love to win the Bee in my Bonnet for a friend who raises bees; or the Paris, for my sister-in-law, who lives in Paris, TN. Lovely – you can never have too much fabric on hand. Bee my honey is exciting! I like the University of Kansas Fabric – Blue Bandana Print. It’s basketball season and I am from Kansas. Maybe some day WSU will have their own fabric. 33-0. Chance of Flowers by Sandy Gervais for Moda is my favorite. Thanks. Impossible! Impossible to have just ‘one’ favorite fabric since the Fat Quarter Shop has so many great designs. I have a major crush on the “Littlest” fabric line from Art Gallery Fabric Studio…sooooo many possibilities! so enjoy discovering new sites and meeting such talented people!!! There are so many nice fabrics! My favorite is Giggles By Me & My Sister Designs For Moda Fabrics. Color Me Happy. Love it, love it, love it. I would love the bundle. Hope I win. 🙂 Thanks for hosting this wonderful giveaway. I really love Plum Sweet and Vintage Happy! Thank you for sharing! I like the This and That Cameras (all colorways). Thank you for a chance! I like the Bee My Honey line, but I LOVE LOVE LOVE the Houses Drift FQB. So. Pretty. I love this fabric. Hope I’m the winner! I’ve been waiting for the Bee My Honey line to be available. I absolutely agree with you about the Fat Quarter Shop – fabulous fabric! I love the raccoon fabric in Tula Pink’s Acacia line – all the colors. Thanks so much for the awesome giveaway! There are so many things they have that I want that is almost impossible to pick just one. But if I had to pick only one it would be the Jelly Roll of Sunshine Rose by Tanya Whelan! I love Sphere by Zen Chic. I love mixed bag by moda! I’m just learning to quilt and would love to win! Love the Julia Mary Rose collection by Quilt gate Fabrics. Love the Printemp fabrics – as well as many more. I really like the Downtown Abbey collection and the Bee my Honey collection too! Critter Patch Organic Light Aqua Squirrel, my boys would love it. I like the 5 Funky Monkeys Cotton Fat Quarter Bundle: Erin Michael for Moda Fabrics!